I am back on the trail again after a few weeks home to care for my brother who has peacefully passed away. Now to get the attention back on the rhinos!! They certainly need some focus as things have continued to get worse. The current death tally for 2013 is a devastating, excruciating 377. When I stared my walk just over a month ago it was a terrible 227. 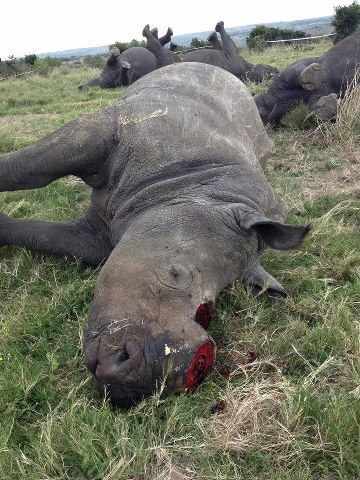 So 150 innocent rhinos have perished in a month. We should all be marching in the streets in protest, but I will restart my loud but passive march across Germany and continue to raise awareness and money that is desperately needed for worthy projects. 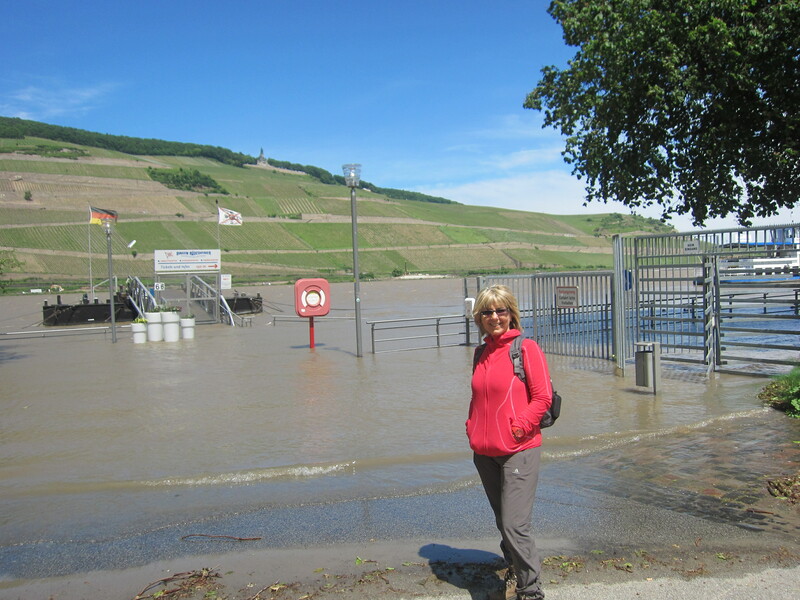 I have restarted my walk today from where I stopped in Bingen. 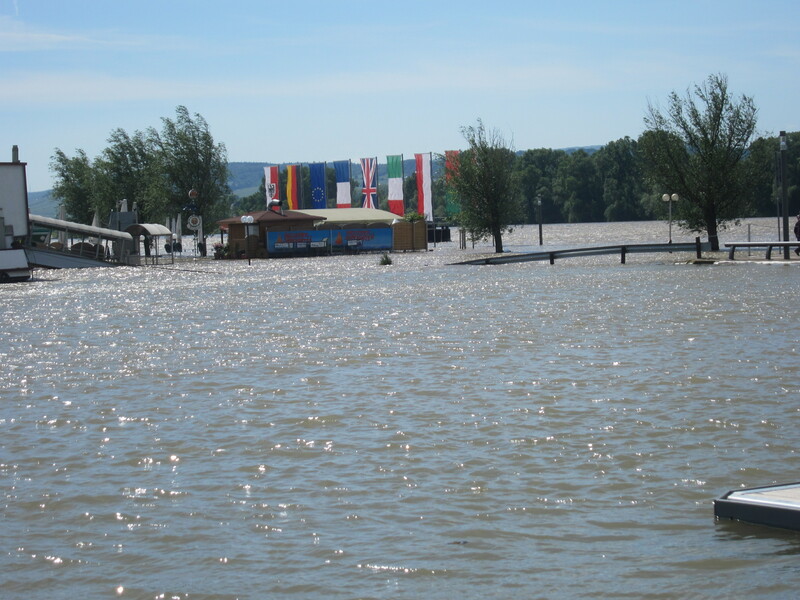 It was a very productive day and I am well on my way to Mainz, despite the “hochwasser” or “high water” across Germany (mainly in Bayern and Sachsen, but also on the Rhein). The water is over the paths by the river and I had to back-track by 1.5km and re-route around the water. The alternative was to swim! I continued walking around my brother’s home while I had my pause. These kilometres are being tallied, just as the kilometres will be when I am having my cancer treatment, and we are calling them “makeup kilometres” I will apply these at a later point on the walk, when the area is less populated. 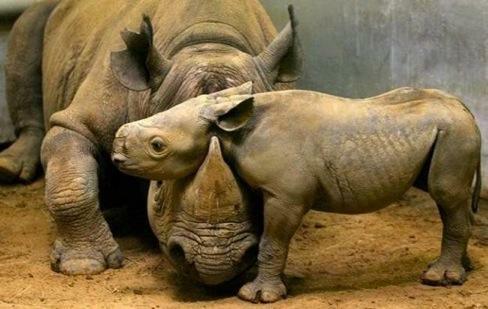 On the 25th May, my family and friends organised an event in Australia for Gabywalksforrhinos. It was called “Full Moon Walk for rhinos” and despite the pouring rain, nearly 50 people enjoyed a 2km walk and wood fired pizza, drinks, movies, music. Almost $900 was raised !! This will all go to our Australian partner Save Foundation in support of their successful, courageous project in Zimbabwe. Each kilometre walked included a $10 sponsorship (or $20 for 2 kms), so these kilometres will be called “sponsored kilometres” and I will apply these at a later point on my walk. If YOU want to organise a similar event with your family and friends, please contact me…I can do with all the help possible and your “sponsored kilometres” will help the rhinos and my feet! Special thanks to Stefan, Heidi, Kate and Helen and Jenny for organising and making it happen despite the weather. Gaby, your strength and conviction is admirable and motivating. My work and tools seem to pale by comparison. Sorry not to have been a past of the moon walk, but I didn’t know it was on. Love to you and John. Thank Jenny & co. It is good to be walking again. There is certainly no drought over here! The river levels have really impacted my route and I have had a few false starts thinking a track will be clear, but then have been turned back by the tides. The worst thing is having to sometimes walk by the roads, rather on walking / cycling tracks. But they get me to each milestone.